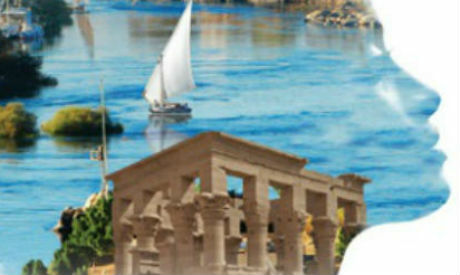 The third edition of the Aswan International Women Festival - running between 20 and 26 February - has announced workshops and honorees for this year. Barbara Bouchet is the festival’s guest of honour. The German-American actress and entrepreneur has acted in more than 80 films and television episodes. Bouchet started her career as a model and actress on American television. She is best known for her roles in Casino Royale (1967), Don't Torture a Duckling (1972), the television series The Scarlet and The Black (1983), and Gangs of New York (2002). This edition will also honour Egyptian actresses Mohsena Tawfik and Menna Shalaby in the opening ceremony. Additionally, other women will be honoured in the closing ceremony for their contributions to the film scene; retired film credits designer Nawal, film editor Laila Fahmy, subtitle translators Aida and Abla Anis Ebeid. Minister of Culture Ines Abdeldayem has previously met with a delegation from the festival, and stressed the ministry’s support for the festival in many ways. The ministry will be sponsoring the closing ceremony alongside the Ministry of Tourism, the National Women’s Council, and the Cinema Professions Syndicate. This year, in parallel with the film screenings, there will be a scriptwriting and development workshop led by established writer Wessam Soliman. Award winning director Mahmoud Soliman will give another workshop on documentary filmmaking targeting Aswan locals. The workshop will conclude by sharing the works of the participants. There will also be an animation workshop led by Ashraf Mahdy, a producer and professor at the Helwan Fine Arts University. The workshop is for people between 18 and 35 years old, to learn and practice the different animation technologies and apply them to famous Egyptian artworks. Another animation workshop for children aged 7 to 16 will be led by Jesuit Animation School founder Ibrahim Saad. Director Aida El-Kashef will hold another workshop supporting the completion of documentary films that were started by participants in the festival’s last edition.